After a month hiatus, The Secret Recipe Club is back in action! I’m glad we had December off since it was a crazy month for us but I’m glad we’re back. This month my blog assignment was Close to Home. 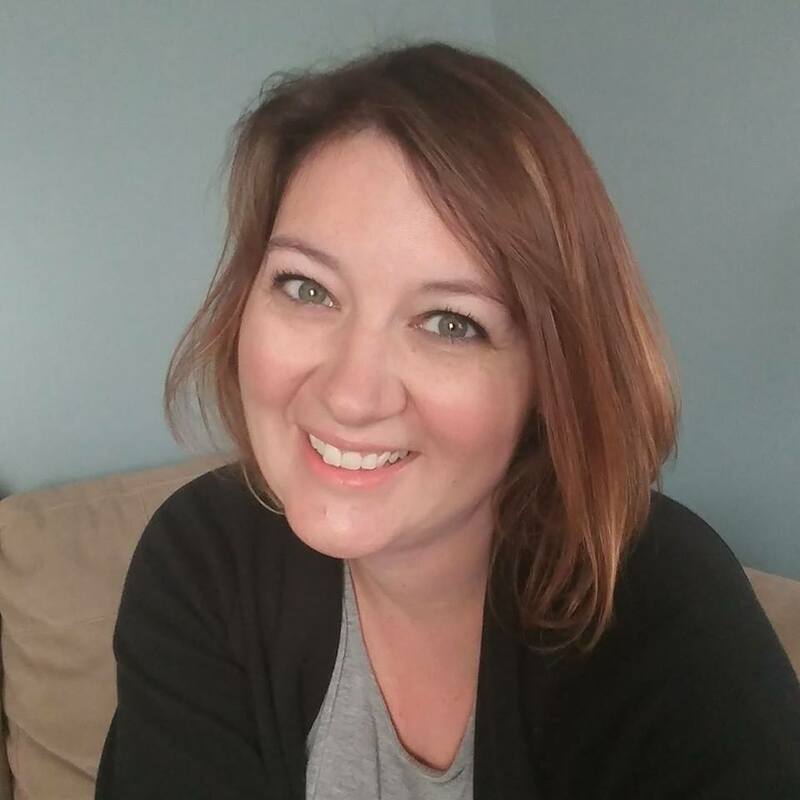 Maria’s been blogging for the last 4 years and her blog features everything from recipes, crafts, entertaining, product reviews and giveaways. I was excited to see Close to Home was my assignment this month, since I’ve been participating in her “Friday Food Frenzy”, a weekly blog hop for the last couple of months. After searching through Maria’s recipes, I settled on making Chocolate Oat Bars. I took her advice and reduced the amount of butter in the original recipe and I substituted quick oats for old fashioned since that’s what I had in my pantry. The bars are quite rich, so cutting them in small pieces was perfect. My husband loves them and enjoyed the hint of peanut butter in them. Line a 9 inch square baking pan with aluminum foil. Spray foil lightly with nonstick cooking spray. Set aside. In a medium sauce pan, melt the butter over low heat. Add the brown sugar and vanilla and stir until the sugar has melted and is well combined with the butter. Add the oats into the pan. Cook over low heat for 4-5 minutes or until all the ingredients are combined and the oats are slightly cooked. Press half this mixture into the prepare pan. Melt the chocolate chips in a double boiler, stir occasionally Add in the peanut butter into the melted chocolate and stir until combined. Spread this mixture over the oats in the pan. Crumble the remaining oat mixture over the chocolate layer. Press down gently to form a layer of oats. Cover the pan and place into the refrigerator for 2 to 3 hours or longer. Bring to room temperature to cut the bars into small pieces. Ia m sucker for anything with oats init – sweet or savory. These look delicious! 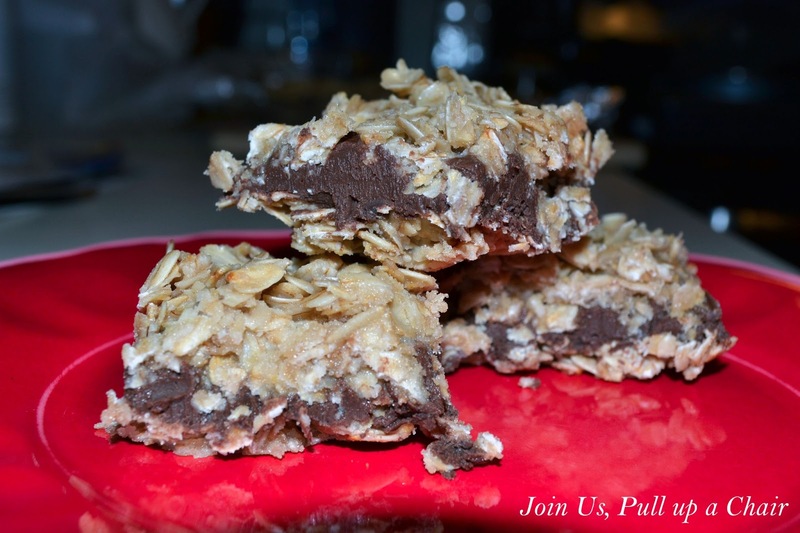 These Chocolate Oat Bars are going to be a very special treat. This recipe is great for the SRC,and thanks for sharing. Oh my gosh, those look absolutely delicious. Oats + chocolate? Sign me up! By the way, I had your blog this month and I can officially say that I am your new biggest fan. I wanted to make EVERYTHING!!! Chocolate, oats and peanut butter? In a no bake, yet? Yes please! YUM! these bars look fantastic! these look delicious! Love chocolate and oats together. They look so good. I love that they don't contain any flour!